Jamie Mollart runs his own advertising company, and has won awards for marketing. 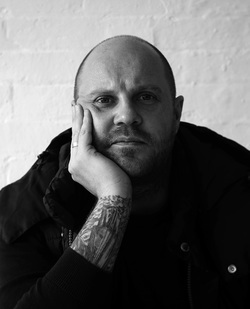 Over the years he has been widely published in magazines, been a guest on some well respected podcasts and blogs, and Patrick Neate called him ‘quite a writer’ on the Book Slam podcast. He is married and lives on the Leicestershire/ Nottinghamshire border. The Zoo is his first novel and was published by Sandstone Press on April 15th 2015 Amazon have included The Zoo on their Rising Stars of 2015 list which details the most promising debut titles being released throughout the year. Congratulations on the publication of your debut novel, which I very much enjoyed reading. How does it feel to have it out in the world? Thank you very much, I really appreciate you saying you enjoyed it. I still find it very strange when people talk to me about it. It’s a bit odd to me that it’s out there in the world and people I don’t know are reading it. It’s an absolute privilege to be able to say I’m a published author. As long as I can remember I’ve wanted to be an author and unbelievably it’s happened. I have to keep pinching myself. It’s strange sending it out there and losing all control of what people think of it. It’s a bit like sending your first kid to school I would think. It’s got a life of its own now and is all about the conversation between the readers and the book, my part of the process is over. Has anything surprised you about readers’ reactions to The Zoo? I’m humbled by the reaction I’ve had. I don’t want to jinx things, but the feedback has been almost universally been positive. 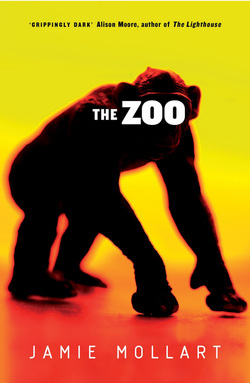 I know The Zoo is quite a dark book so I expected it to polarise opinion a bit more than it has and thought that there are things in there that people may find a bit difficult to read. Maybe the average reader has a darker imagination than I thought! The Zoo paints a very credible picture of one man’s mental breakdown. Did you find that difficult to write? Worryingly no. It was the darker scenes that I found easiest. The harder bits for me where the family scenes and the work relationships. I had to work really hard at making these realistic and emotionally resonate. The Zoo uses a mixture of real and imagined settings, and I was particularly chuffed to find one of my favourite restaurants featured there. What are the pleasures and challenges of mixing fact and fiction in this way? It’s things like that that make writing fun, sprinkling little easter eggs in. Three of my friends appear as minor characters as well, you’d never know if you hadn’t met them, but I do and so do my friends. There is of course the chance that you’ll upset them, but they’re all really pleased. Ironically enough a couple of people have asked me if particular characters are based on them when they are in fact complete figments of my imagination. On a similar theme, you’ve given your main character, James Marlowe, aspects of your own biography as well as a similar name. Where does the boundary line between you and him and have you experienced any difficulties in maintaining it? Thankfully he’s very different to me. I’d say he’s almost like a nightmare me, the worst me I could possibly imagine. The JM thing started as a little post modern joke, almost like a Hitchcock cameo. I also really like how Brett Easton Ellis plays with fact/fiction and his own name in Lunar Park. There were some definite reasons as to why I called him James Marlowe. The James is from Henry James. I wanted to reference the unreliable narrator concept as my lead character is the typical unreliable narrator in that we only see things from his point of view, and Turn of the Screw is the archetypal novel using this trick, so James seemed appropriate. Marlowe comes from Heart of Darkness. My novel is very much about someone being trapped in a course of action, being aware it’s wrong and not being able to stop. I toyed with calling him Kurtz, but it seemed too obvious. The Zoo illustrates the unhealthy side of capitalism, both for the rich consumers in the West and for the people whose lives are sacrificed for the latest gadget in the Third World. Is this a sentiment you agree with? Yes and no. I work in advertising and love my job so I can’t pretend not to be part of the capitalist machine. That said it does make me very aware of the nature of consumerism and it’s something that interests me. The mining of blood minerals really shocked me when I found out about it and the whole way in which it is operated one step removed means it’s very easy for us in the West to ignore it. We’re very good at suppressing thoughts of other people’s suffering if it means we get the latest gadget. We’ve put ourselves in a position where we are almost 100% reliant on this technology and it would take a massive sea change in the way our lives are set up for this ever to be readdressed. Consumerism is so much part of the way we live now it’s very difficult for us to take a step back and see the unhealthy side to it. Writers are often beset with a range of different creative ideas. How did you know that The Zoo was the one you wanted to run with? The Zoo is actually the fourth novel I’ve completed, each one incrementally getting a bit better. (I hope) There was something about it that felt right. It’s easy to say in hindsight but it did feel like this could be the one. I think the central Mcguffin of The Zoo itself really helped with that. It felt like something I could hang a lot of my concerns on and formed a strong central core for me to work the story around. For me the best fiction takes big issues and plays them out on a personal scale, so I personally really liked taking these issues - the banking crisis, blood minerals, genocide, loss of faith, consumerism - and showing how they could deeply affect one man. I also really enjoyed the challenge of making readers feel empathy for a lead character who can be very unpleasant. Whether I succeeded in that or not is of course not up to me. It’s been a long one and I think fairly typical. I’ve always written. It’s something I can’t help but do. Stories go round and round in my head all the time, if I didn’t get them out I think I’d go a little bit potty. The breakthrough for me came with joining an online writing community, Litopia. It helped me to get my writing critiqued by serious fellow writers and over a couple of years I worked really hard on honing my writing. I was then lucky enough to be the first person to contact Henderson Mullin as he was setting up Writing East Midlands and he put me through a TLC mentoring scheme. I worked with Tim Clare, who by some weird twist of fate had his debut novel come out in the same month as me and we were both chosen as Amazon Rising Stars for 2015. Over a year period we worked through the manuscript of the novel I was writing at the time and he gave me some amazing advice. It was also a really good discipline to have provide sections at certain times and then work through them in great detail. I took all I learned from that and then applied it in the writing of The Zoo. I was picked up by my amazing agent Leslie and then she sold the book to Sandstone Press. My editor Moira was superb, picking up some fundamental things that we changed to make it a better book and tidied up all the little things to make it a much smoother read. As an advertising executive, do you have any tips on promotion for the new author? Everyone in publishing is talking about platforms. But that’s really just advertising speak for knowing your audience and working out how to contact them. 500 engaged friends on Facebook are infinitely more important to you than 10,000 people who couldn’t care less about you or what you write. Think about what makes your book unique - is it where it’s set, or has it got historical links that you can exploit, where do the people you think would like to read it hang out online? Then just talk to people using your own voice. Be honest with people, don’t try and pretend to be someone you’re not and you can’t go too wrong. Oh and be prepared to put the graft in. I tend to get 20,000 words down really quickly then let the dust settle. By that point I’ll know whether I’m interested in pursuing the novel at that point. I’ve got 3 or 4 batches of 20,000 words that I might or might not go back to at some point. I should then have a rough idea of where the story is going. I use an online tool called Trello to plan scenes out and then work through them. As I write I’ve usually got half a page of notes at the bottom of the text that gets pushed along as I can and deleted as I write the notes into the manuscript. I’m really bad at writing at home. I’m far too easily distracted by films and books and Playstation and the football on the TV and my wife to talk to. I’ve found the Nottingham Writing Studio absolutely invaluable at getting the word on the page. It’s like I’m going to work rather than doing a hobby so I’m in the right frame of mind before I start. A couple of things, firstly I think is not to be precious about your writing. To not be afraid to throw something away if it’s not working. There’s nothing worse than toiling away at a piece of work you know isn’t right, but feeling like you have to keep going because you’ve started it. The Zoo was originally written as third person, but it just wasn’t working. I threw it all away and rewrote it in the first person present tense and found that this gave the immediacy and urgency that I was after. Secondly, you need to remember that publishing is a business and that you need to treat it like one. Agents and publishers aren’t saying no to you because they’re evil and trying to keep you out of the industry, it’s because they don’t think they can sell your work. But someone out there might feel differently and you need to find them. Do your research, behave professionally at all times and learn the business. It takes a lot longer than you want it to, but I can say from experience now that it’s well worth the wait. Blimey, I wouldn’t know where to start. The whole internet is full of bad advice. Just go on Twitter and you’ll find pages of the stuff. Something completely different. It’s a piece of speculative fiction to do with the nature of time. I don’t want to say anymore at this stage in case I jinx it. I’m enjoying it, although there’s a whole new pressure now that I’ve been published. I’m a perfectionist so I want every thing I write to be better than the last. Name one book you would’ve loved to have written. Also, are there any other novels set in Leicester you can recommend? Oh, there’s so many. Great Expectations by Dickens, American Psycho by Brett Easton-Ellis, London Fields by Martin Amis, Oscar and Lucinda by Peter Carey and recently The Kills by Richard House blew my mind. I loved Rod Duncan’s The Bullet Catcher’s Daughter which is set in alternative Steam Punk Leicester. Well worth a read if you haven’t already. No, I think you were pretty thorough!